A while ago, I asked a number of my scriptor-sisters to tell me about some of the ups and downs of their publishing journey. I know what I've gone through and was curious about what others might have experienced. 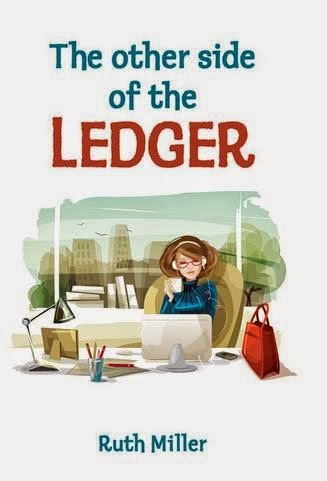 Friend, Ruth Miller, who authored The Other Side of the Ledger, learned an interesting lesson so I invited her to share it with us all as a guest blogger this week. Let me take you back to when I initially unleashed my intention to write about office culture and workplace experiences in my book The Other Side of the Ledger to my friends and family. Although the majority were very supportive, two of my friends’ responses (both of whom are published authors) took me by surprise. Without repeating their disparaging comments, I can tell you how the legacy of their negativity still lingered, yet didn’t resonate until my book had been written, edited, self-published by Palmer Higgs, printed, delivered, launched, etcetera, etcetera. And yes, to add insult to injury, I did read Debbie Higgs’ The Self-publishers Marketing Guide, but alas only digested the bits I wanted to hear, choosing to ignore stoic statistics or sensible strategies - because they couldn’t possibly apply to yours truly. Now you’re familiar with my over-inflated would-be author ego, I guess it’s time to admit how I began to feel more than a little overwhelmed with the huge learning curve I’d discovered on the other side - whether it be the self-published or more traditional path - of publishing a book. A learning curve where caution and old-fashioned common sense appear to be momentarily thrown to the wind, as one free-falls (from grace?) when one tries to bridge the generation gap learning about social media, Kindle and eBooks; or floundering in the language lacuna when dealing with designers or distributors; or admitting that there’s a chasm in one’s own marketing ability; or (God forbid) falling into a pit of self-doubt when discovering one’s inadequacy when faced with a pile of books on the doorstep and the realisation that it’s up to you - and you alone - to miraculously transport them onto bookstore shelves and bookcases across the nation; or dealing with miscommunications and misunderstandings; or having unrealistic expectations. But do not despair, I can now tell you there is an upside. It is simply the echo from the other side of the crevice to stop, look and listen, before you try crossing (or burning) too many bridges spanning the publishing track. Ruth's book The other side of the ledger is available from Palmer Higgs or can be downloaded in your favourite eBook format. Perhaps I can encourage Ruth to continue her story and tell us more about her self-publishing experiences in a future blog.